Bixby Voice just showed up on my Galaxy S8, so I’m assuming they are starting to roll it out to those who signed up for the Bixby Early Access Program at the end of last week. And that makes sense since we saw the Galaxy S8 and S8+ receive a bunch of updates to Samsung apps that added Bixby Voice support, within the past few days. I’ve hardly had a chance to play with it yet, but there are a whole bunch of settings to tweak and a whole bunch of stuff you’ll have to learn. This is going to take some time to get used to, I’m guessing. Still, it’s here and we are diving in now to let you know what we find. For those with a Galaxy S8 or Galaxy S8+ and who happened to sign-up for the Early Access Program, be sure all of your Samsung apps have been updated within the Galaxy Apps store. 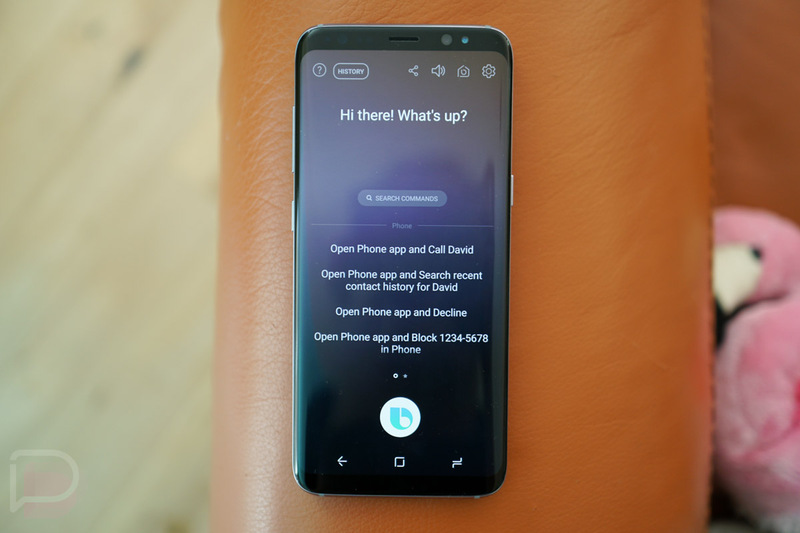 Then, open up Bixby and it should prompt you with a setup for Voice. Like Google Assistant, it’ll need some training to your voice. UPDATE: We took Bixby for a spin!